This billboard was erected today at the Huay Kaew-Rincome Junction. 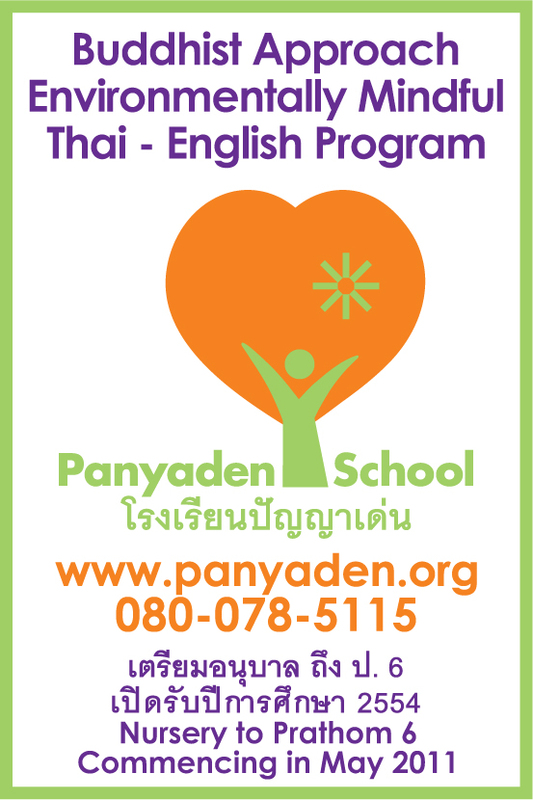 Check out our website (https://www.panyaden.ac.th) for more information or call 080-078-5115 (when calling from Thailand; from elsewhere, please call +668-0078-5115). Come visit us on 28 November 2010 (Open House Day) between 9am to 1.30pm. This entry was posted in Upcoming Activities and tagged bamboo, biligual and international school in chiang mai, earth, English school in Chiang Mai, kindergarten, Open House Day, school, thailand.